Emeril & Guy Fieri BOTH Love Mahony’s Po-Boy Shop on Magazine St.
We had just endured a brutal red-eye from San Francisco to NOLA via LA to finally arrive at our Airbnb on the very fun, cool, and completely non-touristy Magazine St. After napping for a few hours to catch up on lost Zzzzs, we woke around lunch time and found ourselves in desperate need of something very satisfying to transition our minds and bodies over to NOLA time. 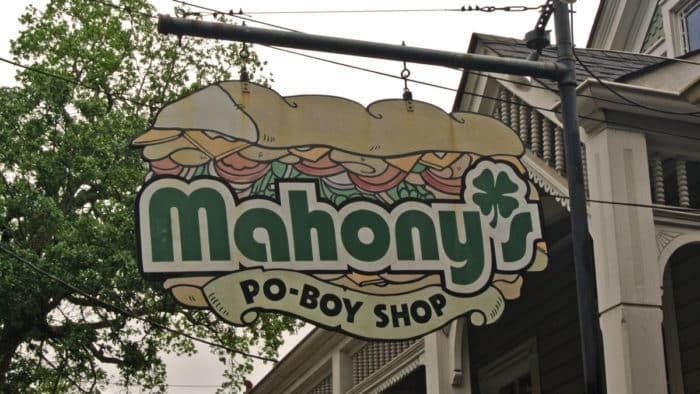 A quick Foursquare search of the nearby neighborhood led me to a sandwich joint called Mahony’s Po-Boy Shop fully vetted by Guy Fieri and Emeril Lagasse on Diners, Drive-ins, and Dives. Seriously, Emeril made a guest appearance on DDD just to hawk this place to the masses alongside The Spiky One. With a simultaneous seal of approval from both of these men, how could I not check it out for myself? Mahony’s is located inside of a cute little house just off of the main drag of Magazine St. And it’s a pretty well-known shop at this point, especially after receiving such a glowing on-screen recommendation from both the King of Gigantic Portions and the Master of NOLA Cajun Cuisine at once. Mahony’s is firstly known for their absolutely massive portions – you definitely want to get a small for yourself, or go for the large if you’re splitting one with a friend. 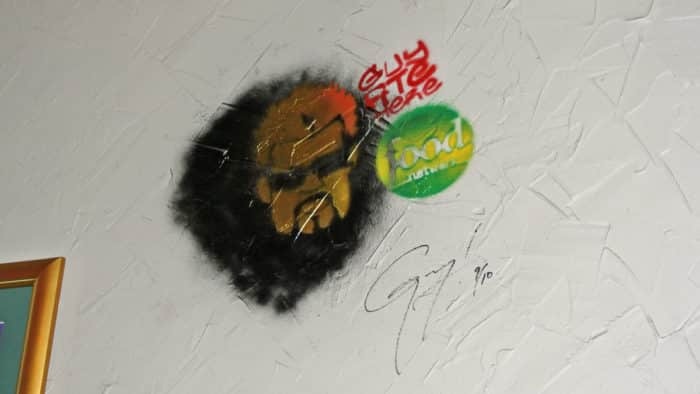 But, beyond sheer size, this little shop is probably even better known for its unwavering insistence on using ingredients of the highest quality and freshness across their entire menu. Whether it’s the bread, the seafood, or even the mayonnaise, only the best will suffice at Mahony’s. 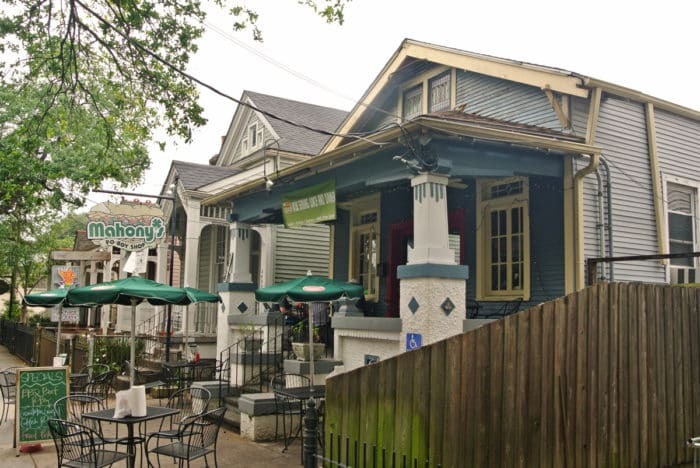 And truth be told, the biggest and most frequent complaint that I read about the place in reviews online was completely valid – the po-boys served at this shop really are substantially more expensive than at their competitors (it costs around $15 for a small here). 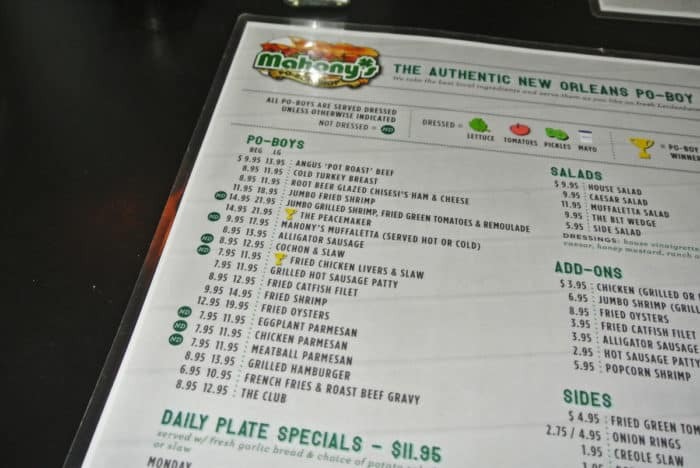 Sure, these po-boys are pricey by New Orleans standards, but it’s definitely a case of you get what you pay for – and at Mahony’s you get quality for your money. Since this was after all the start of a vacation, I kicked off my meal with a Bloody Mary. It ran me the relatively high cost of $8 for the pint-sized glass, but it was actually a really great rendition. It definitely had one of the better, fresher, and more impressive gardens I’ve ever had loaded into the cocktail – and that’s something I always appreciate. It was packed with a variety of big, delicious, pickled veggies including long, snappy, pickled green beans, humongous, freshly pickled okra, and gigantic stuffed olives. And the whole thing had an incredibly smooth consistency – which I loved. 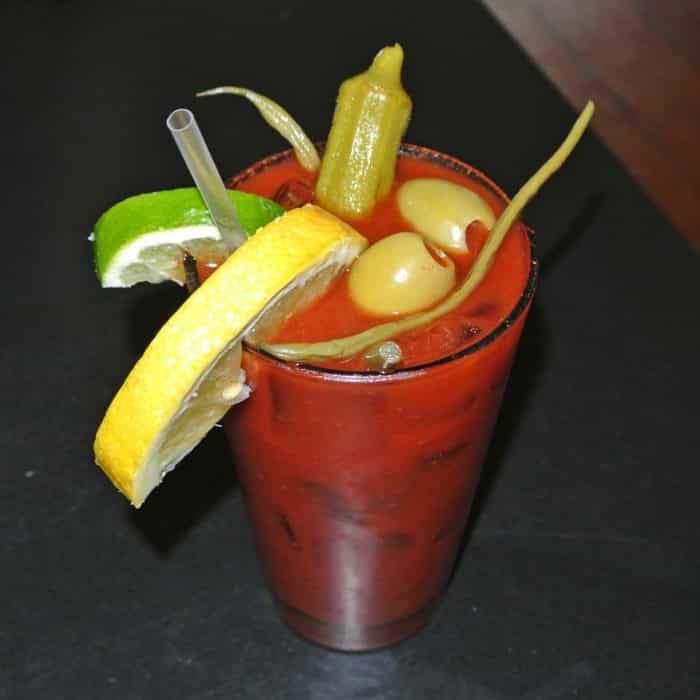 I never really enjoy a Bloody that’s overly chunky and too full of black pepper and horseradish grit – this rendition was just right for me. But, now onto the real reason I went to Mahoney’s. On a daily basis, they offer over 21 varieties of po-boys – more than enough variety to keep people coming back over and over again. And as if there was even a question about which one I’d order, I went for the one Emeril and Fieri recommended on TV called The Peacemaker. This monstrous sandwich involved placing perfectly cornmeal-dredged fried oysters onto a super-soft, fluffy hero roll with lettuce, tomato, mayo, cheddar cheese, and many slices of crispy, smokey bacon. 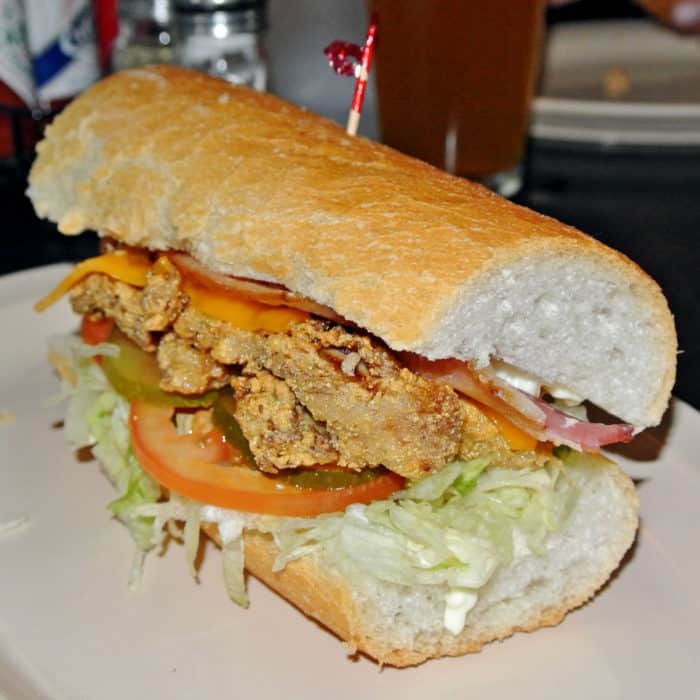 The fried oysters were clearly the featured ingredient in the sandwich and in this preparation they were highlighted well. They were piping hot and fresh out of the fryer – tender, and a nearly melty consistency inside which contrasted really nicely with the thick, crispy crusty exterior. These freshly fried shellfish exerted a gentle, but ever-present oceany flavor in every bite – exactly what I was looking for. I did think the bacon was a nice touch, though it didn’t actually contribute as much flavor as I would have hoped for – I wish the smoke flavor was more assertive. All in all, this thing was awesome though. For Amy’s lunch, she selected a different sandwich recommended by a number of tippers on Foursquare. Her Grilled Shrimp, Fried Green Tomato, Remoulade Po-boy was absolutely incredible and I think I may have actually enjoyed her pick more than the famed Peacemaker. 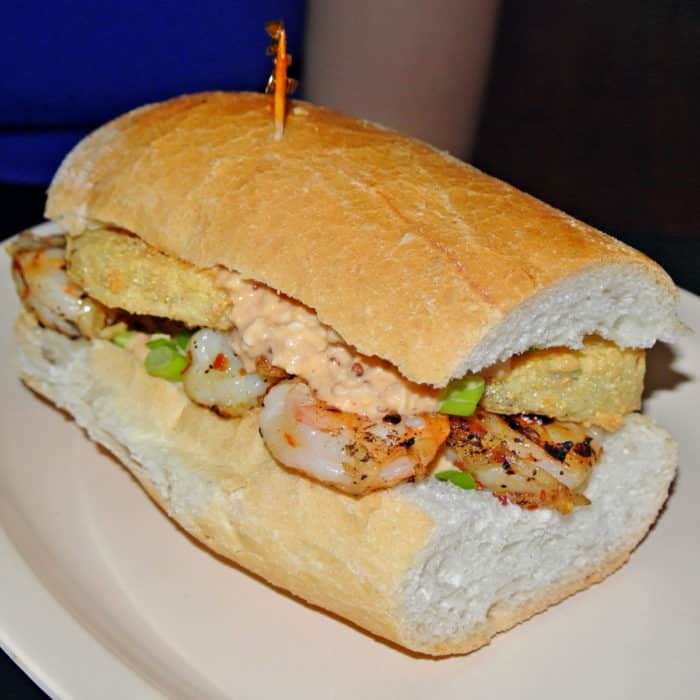 The sheer volume of fresh, snappy, local grilled shrimp was impressive enough to make this sandwich worth ordering and the breaded and fried green tomatoes also added a nice textural contrast and sharp flavor to the thing. But, the remoulade was the absolute best part of this sandwich in my opinion. It was so incredibly creamy, chunky, and added just the right level of spiciness to tie the whole thing together. This sandwich was a masterpiece. 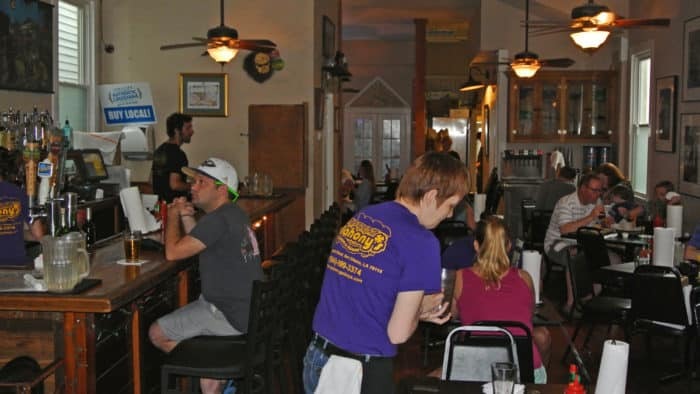 So, yes, Mahony’s Po-boy Shop is a bit pricier than some of its other New Orleans counterparts. But, there’s absolutely no denying that these massive sandwiches are incredibly well-made with super high-quality ingredients that are completely worthy of the dual Emeril and Guy Fieri recommendations. Got another po-boy shop I need to check out next time I’m in New Orleans? Let me know in the comments below.